The Lok Adalat realized Rs 16,13,648 and settled Rs 5,80,996 rupees in Lok Adalat in the presence of Utpal Mishra, Additional District Judge, T.N Bhutia Senior Advocate, Kalimpong Bar Association and Pemba Yuden Hissey , president of AIWC Kalimpong Branch on Saturday. 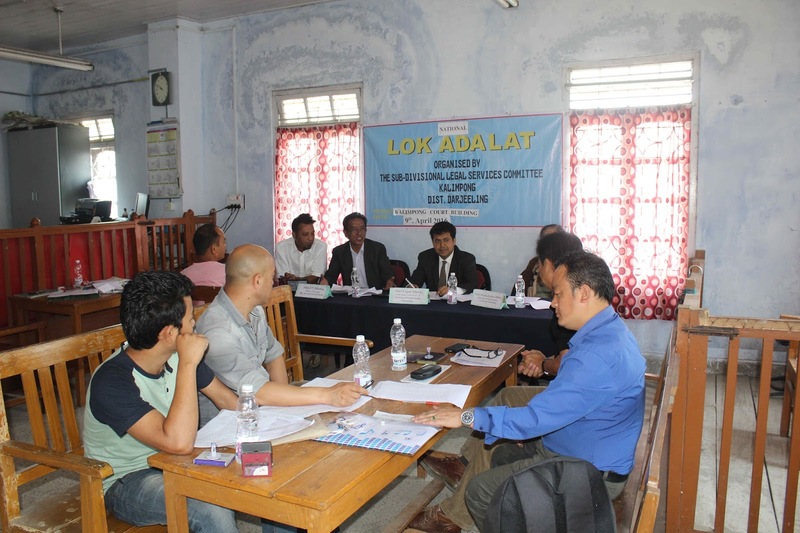 Sub-Divisional Legal Services Committee organized National Lok-Adalat at Kalimpong Court Building,(Session Court). The Adalat held over the day settled 22 loans cases out of 129 . Out of 111 cases referred by the State Bank of India 4 were settled.While 18 out of 18 pre-litigation case referred by WBSCARD bank was settled today informed Swarnima Chettri,the secretary of Sub-divisional legal services committee. 0 Respones to "lok Adalat solves 22 cases"